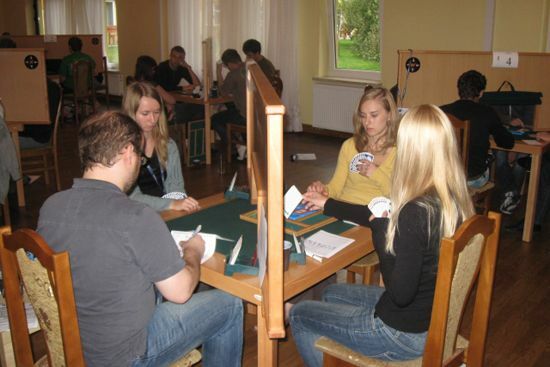 The 2nd European University Bridge Championship was held from September 18 and 23, 2011 in Grebiszew, near Warsaw, Poland. 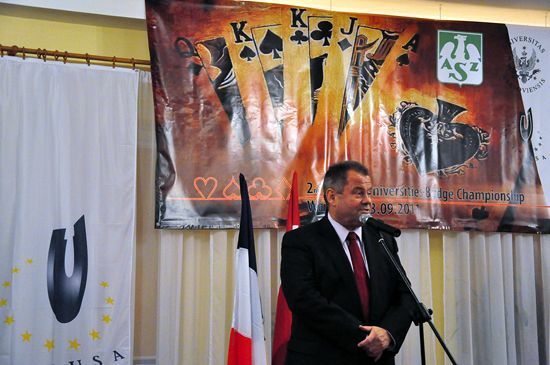 The Opening Ceremony, held on September 18 was attended by Mr Geert Magerman and Adam Roczek – EUSA Delegates, Mr Harry Van De Peppel – European Bridge League Representative, prof Alojzy Nowak – representing University of Warsaw, with the attendance of other guests. 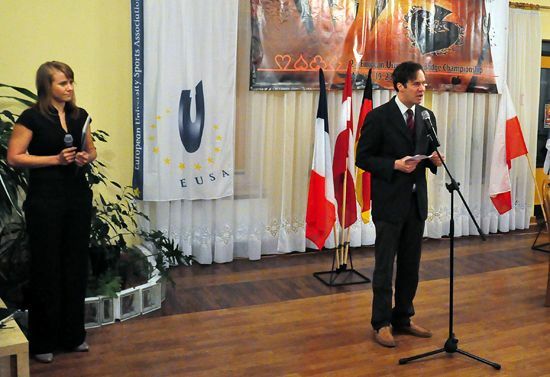 On behalf of the Organizing Committee the participants were welcomed by OC member Kamila Jabłońska and on behalf of EUSA Geert Magerman welcomed all participants and wished all the best to the athletes and officials who came to test their skills and abilities. He also thanked the Organizing Committee for all their contribution. Prof. Alojzy Nowak welcomed participants on behalf of the University of Warsaw – the largest and the most prestigious University in Poland. He underlined that hard work, friendship and networking is a key for success in a modern life. He wished to all students not only to achieve the best results but to make friends and leave Warsaw with the best memories and new opportunities. Mr Adam Roczek as the EUSA Delegate and Mr Geert Magerman as the Technical Delegate for Bridge made sure that the event went on smoothly and without problems. 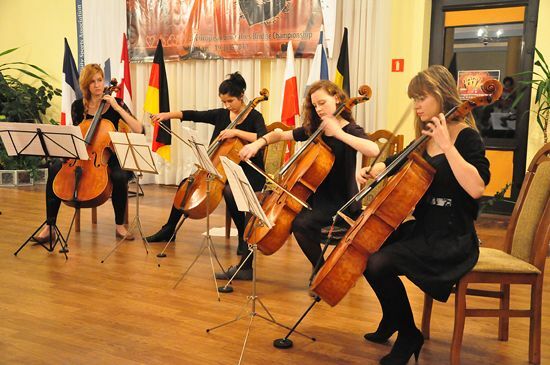 The competition hosted 14 teams from 6 countries and was organized by Warsaw University with contribution of University Sports Association of Poland. 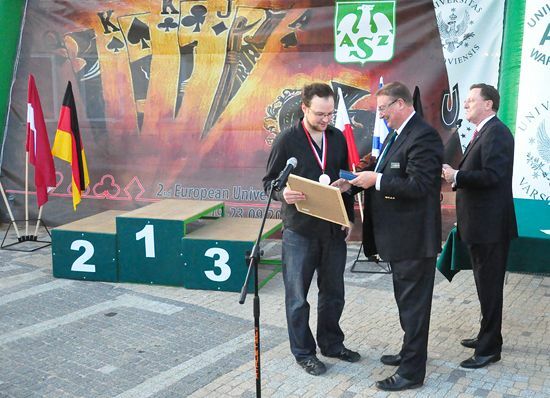 The event concluded on 23.09.2011 with the Medal awarding and closing Ceremony. Medals and awards were presented by Radek Kiełbasiński, Geert Magerman, Yves Aubry, Harry Van De Peppel and Olaf Weker. Participants of 14 teams enjoyed the championships and each other’s company, and look forward to the next edition, scheduled to take place in 2013. More info can be found at the OC website www.eucbridge2011.pl.